Bentwood hat stand. An extremely desirable, circa 1910 traditional bentwood hat stand. 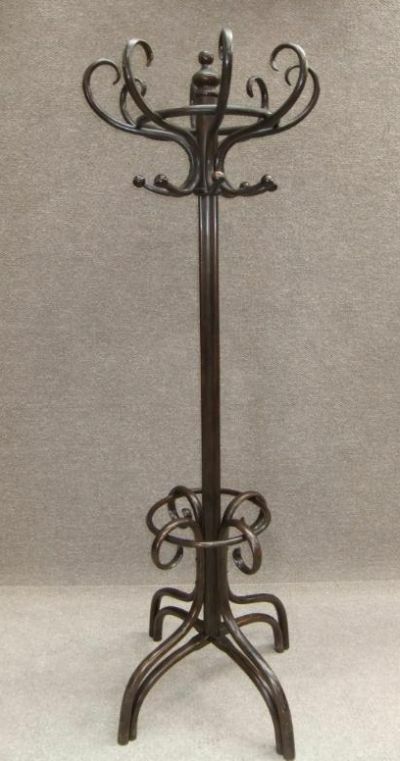 This hat/coat stand is ideal for any period property. It is in lovely condition, with a traditional revolving top. There are no cracks or splits, and it still retains part of its original label to base. These items were brought back into fashion in the 1960s when they were used as display articles in many fashionable boutiques. Sadly, a lot of these have broken, and to find a solid piece, has become extremely hard. In lovely condition; perfect for any period hallway.